SPRUCE CREEK - How do you stay cool during the summer? With water, of course! KarlHaus Realty at Spruce Creek has partnered with Wet'n Wild at Universal Studios Orlando to provide specially discounted admission pricing to Spruce Creek residents. The popular park has long been a favorite destination in Florida to visitors worldwide. 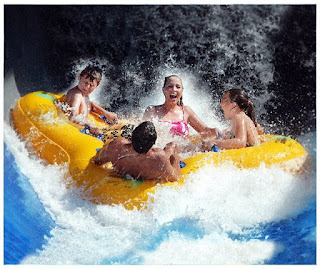 Wet'n Wild is about a 50-minute drive from Spruce Creek. 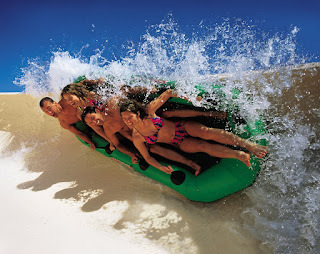 Wet ‘n Wild has more for families to do together than any other water park in the area. 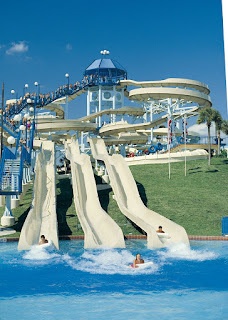 Mom and Dad can relax and drift away on the lazy River or the Surf Lagoon wave pool, while thrill-seeking teens can experience the ultimate free-fall on the Bomb Bay or the Der Stuka. Little ones love the Kids’ Park with miniature versions of the park’s most popular adult rides – there’s something for everyone to do, no matter how young or young at heart you are! And if the family wants to spend time together, they can enjoy a wide variety of multi-passenger rides in tubes big enough to hold the entire family! With more than 400 lifeguards on duty every day, rest assured of a fun and safe day at this great water park. Wet ‘n Wild – Orlando is owned by General Electric's NBC Universal Studios and is one of the nation’s best-attended water parks. 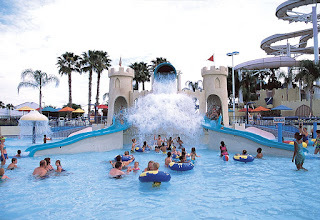 Located in Orlando, on International Drive, one block east of I-4 at exit 75A, Wet‘n Wild offers extended operating hours during the summer. The park is open year-round with heated pools in the cooler months. For additional information about Wet'n Wild call (407) 351-1800 or (800) 992-9453. With the KarlHaus Realty Wet'n Wild Discount Coupon, Spruce Creek's special Single Day Admission pricing is $25.95, a full 35% discount from the Adult General Admission of $39.95. Special discounts for annual passes are also available to Spruce Creek residents. Contact KarlHaus Realty for details.